Location is a fundamental research criterion when planning a camping holiday with your children or friends in the Loire Valley. Located in a fabulous wooded park in Varennes-sur-Loire, at the border between Maine-et-Loire and Indre-et-Loire, the 5 star campsite near Saumur Domaine de la Breche is ideally located for visiting the n°37 French department. In less than an hour by car, you will be able to reach Saumur (10 km), Tours (60 km), Angers (70 km), and some of the most beautiful castles of the Loire and tourist attractions of the Indre-et-Loire. Architecture, protected natural sites, picturesque villages, gastronomy: our 5-star campsite guarantees a sporting and cultural holiday in Indre-et-Loire under the sign of escape and authenticity. You want to visit the châteaux of Chinon, Amboise, Villandry and Gizeux, the botanical garden and the Saint-Gatien cathedral of Tours, the large aquarium of Touraine, the abbey of Marmoutier and the troglodyte valley of Goupilllières? Welcome to Domaine de la Brèche in Anjou, one of the most beautiful 5 star campsites in Loire Valley with swimming pool. 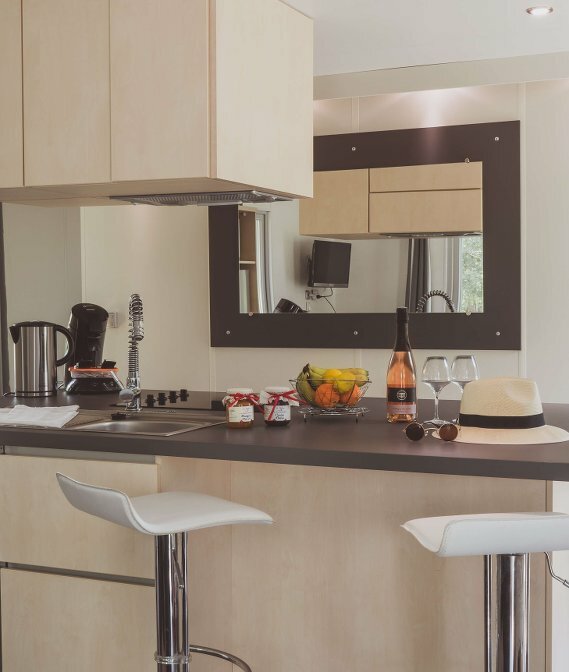 If comfort is a priority for your holidays near the Indre-et-Loire, choose our prestige accommodation with contemporary decorations, furnished and fully equipped for 2 to 6 people. From the mini-suite designed for couples looking for privacy to the stunning 3-bedroom 2-bath loft, and from the premium cottage for large families or groups of friends to the luxurious Taos residence with private terrace through the mobile home suitable for people with reduced mobility, our rental offer includes several ranges, several models and several sizes. We also offer comfortable caravan sites with electricity from 130 to 190 m2 to plant your tent, park your caravan or your motorhome. Do you prefer to live an unforgettable experience in Saumur? Book a trailer, a cabin or other unusual accommodation and enjoy the facilities (water area, sports ground, bar restaurant …), the tranquility and the friendliness of our campsite. By staying at the Domaine de la Brèche campsite, you will be just 6 km away from the Indre-et-Loire, the department which contains 7 of the 11 Loire castles listed as “royal castles”. When entering the castle of Amboise, remember that a certain Leonardo da Vinci died there 500 years ago, in 1519. The castle of Chenonceau, as for itself, much pleased Catherine de Medici, who took it from the hands of Diane de Poitiers, while the castle of Ussé has inspired great thinkers and writers such as Voltaire and Chateaubriand. At the Château de Villandry, distinguished by its magnificent gardens, King Henry II of England recognized his defeat before the King of France Philippe Auguste. 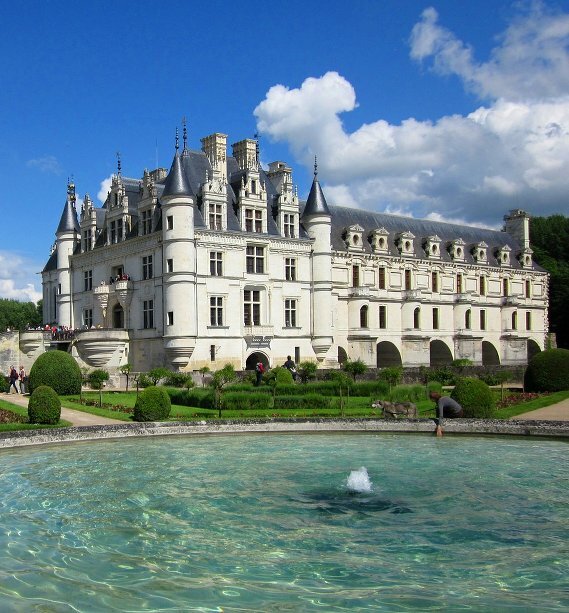 The castles of Langeais, Loches, Azay-le-Rideau, Tours and Gizeux also border on perfection on the architectural level.